"Each country's customs are different, like the grass of each meadow - be with us be genuine." For our projects we prefer to cooperate with partnering institutions. Additionally, we intend to establish potential new economic networks with Mongolian producers in our branch. Our aim is to create awareness on social, economic and environmental issues in Mongolia. Last year, MiM established the initiative to develop a Mongolian Sustainable Leather label in cooperation with Stahl Holding and the Dutch brands and retailers supported by CSR The Netherlands (MVO Nederland). One of the main objectives of this label is to create transparency throughout the full production chain; from the source up to the final product. Within a period of five years the partners expect to have established a fully sustainable label based on biodegradable tanning technology. 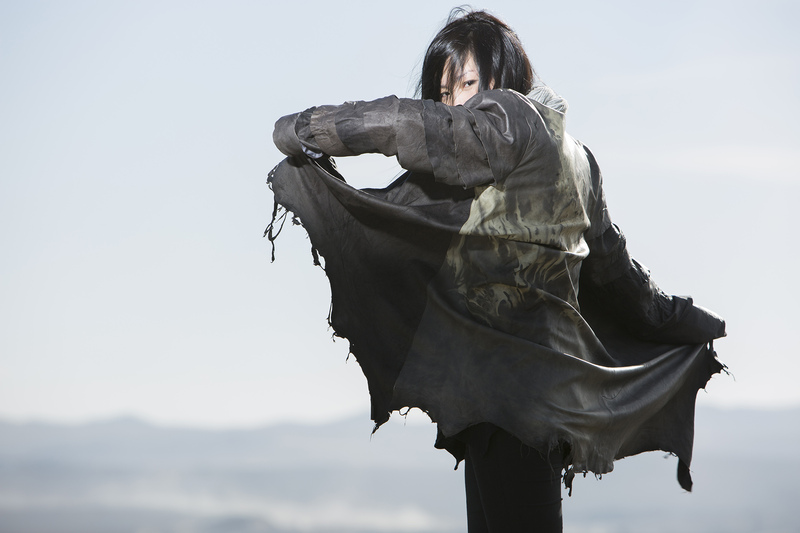 The label will be developed in close cooperation with local Mongolian producers. According to set criteria every year specific targets are determined. The project will be presented with a first fashion collection in March 2015-2016 designed by Hans Ubbink. Because of the country’s reputation and its nomadic lifestyle, Mongolia offers a unique opportunity to make a statement regarding sustainability. This is harder to realize for other known leather producing countries. The Mongolian animals are born and raised in a free environment. It is also possible to create an open-chain-network in direct cooperation with companies that are just recently starting to find connections to the EU markets. Essential to this project is knowing were the hides come from, how they are processed and additionally includes the leather goods producers. ADUU MAL - contributes to cleaner and fairer production; supports to improve quality standards; it brands genuine leather products; includes support in handling certification procedures; connects Mongolian leather producers to foreign retailers; encourages fair presentation. All with support of Foreign Affairs The Netherlands. In this movie the famous Dutch cellist Ernst Reijseger travels to Mongolia in search of the origin of the horse hair on his cello bow. Internationally, instrument makers consider these white gold colored hairs from Mongolia to be of the best of quality in the world. This possibly due to the climatological circumstances in the country and the natural fodder of the animals. The instrument makers often buy the Mongolian horse tail hairs from Chinese traders. Mongolian herders and traders seem to be unaware of the value and the reputation of the horse hairs in the international stringed music industry and have failed to create a processing industry in horse hairs of their own. Due to the fact that the Chinese roam the whole country to obtain all horse tails, Mongolian local musicians face scarcity of the natural horse hairs on the local market. Therefore, in recent years they have resorted to using nylon strings on their traditional fiddles instead. Not only is this cheaper, but when traveling internationally they are also easier to replace and they adjust better to variations of temperature. This heavy use of nylon is surprising since Mongolia treasures a rich history around their own horse fiddle stringed with these horse tail hairs. Besides the sound of the natural hairs is much softer. 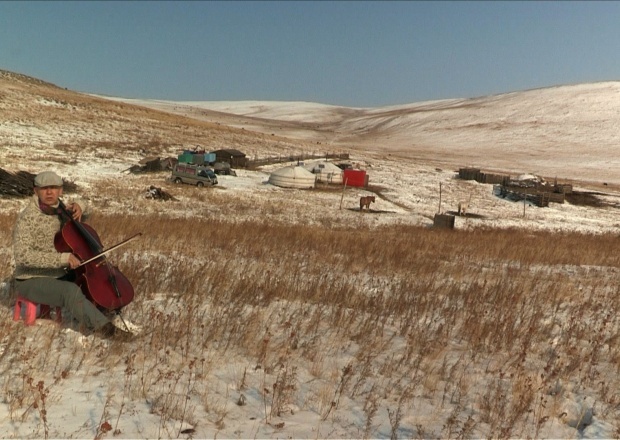 Musical meetings between Ernst Reijseger and local musicians of the Music College show how the horse, music and the traditional and modern lives of Mongolians are closely interconnected but are also subordinated to Mongolia’s economic dependence to China. Producer: Interakt Amsterdam, filmmakers: Doebele&Schmidt. Research & idea: Matthea van Staden. Production in Mongolia: MiM LLC. Recordings autumn 2013.